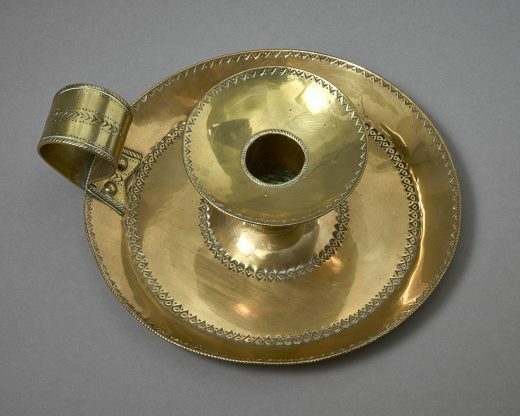 Everything about the design suggests that this chamberstick is the work of Ernest Gimson (1864-1919). 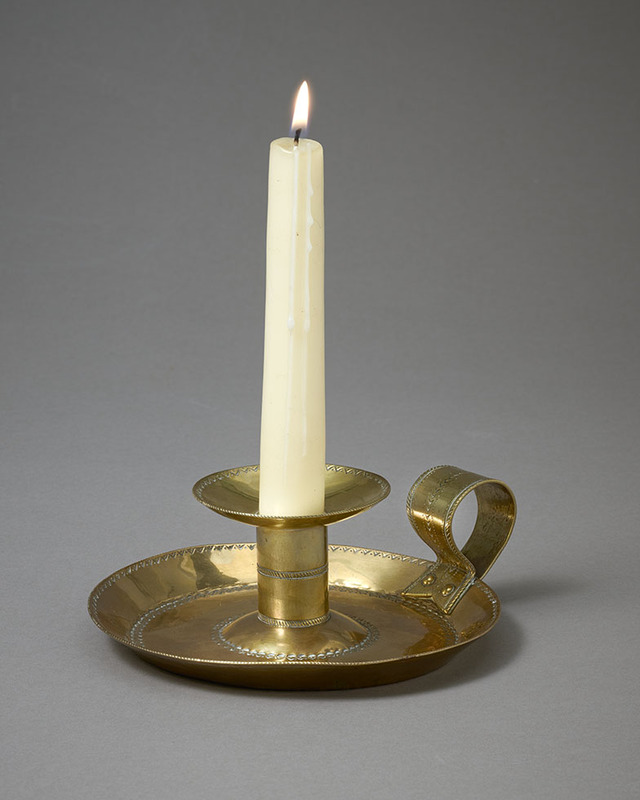 Indeed, a modern brass reproduction that is a variant is said to be ‘after a design by Gimson’. However, based on detailed research, there appears to be no finite evidence. 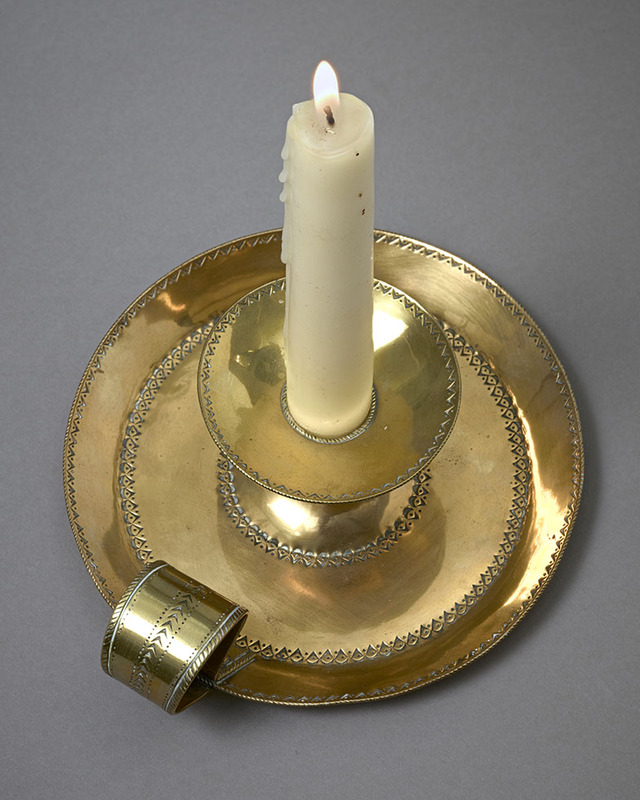 An identical pewter candlestick has been noted.